I coach individuals going through career and life transition. I help them discover a career path that is an optimal expression of their interests, values and passion. Carla McNamara is a Life Coach with more than 15 years’ experience working in the fields of Human Resources and Career Development. 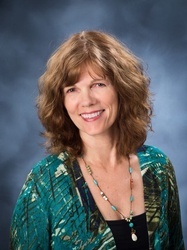 She is trained and certified to administer the Myers Briggs Type Indicator and the DISC Behavioral Profile. If you are like most people involved in the process of career or life transition, you know that it can be a challenging, even daunting task trying to sort out all the issues and concerns. With the help of a Career Coach, you can begin to unravel the mystery of how to discover a career that is right for you. We offer expert career services to individuals who are looking to create a more fulfilling life. We believe in getting to know you so we have a better understanding of your life and career situation before embarking on a client relationship. Our FREE consultation is designed to assess your needs, help you map out a plan of action, determine if and how we can serve you, and answer all your questions. Call today and begin doing the work you love! Have you worked with Carla? Tell your friends! “Carla, It has been a real pleasure working with you. It seemed that everything that could went wrong for me during this process. You have been patient, professional and just great to work with. Thank you very much for your efforts on my behalf. 5 Steps to help you discover a career that brings you joy and fulfillment!